Throughout this website, you can find comprehensive and up-to-date information on travelling in Myanmar, what to see and where to stay. This section is designed to give you a little background and a potted history of this fascinating and fast-changing country. 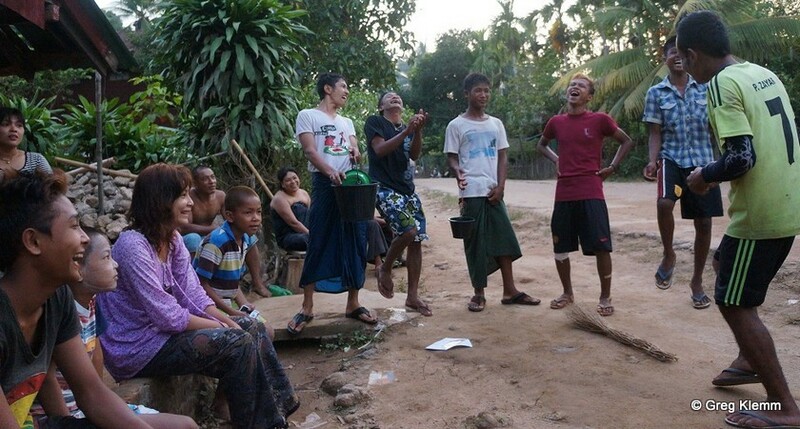 This variety of ethnicities also means massive language diversity, although Burmese is the official language, and English is widely used – to varying degrees of proficiency. Since 2005, the capital has been located in Nay Pyi Taw, but the former capital, Yangon (Rangoon), remains the biggest city, commercial centre, and arrival point for most visitors. The moving of capitals is in fact in line with the tradition of upheaval and renewal in Myanmar – the country has had many capitals over the years, including Mandalay, Inwa and Mrauk U, to name just a few. The official name of the country is the Republic of the Union of Myanmar. In 1989, the name was changed from Burma to Myanmar. Both names are derived from the majority ethnic group, the Bamar – Myanmar being the formal, literary term, and Burma the colloquial, everyday term. The reason this is a contentious issue is because the change was undertaken by an unelected military government without consulting the people. Under today’s more representative system, Aung San Suu Kyi's ruling National League for Democracy Party uses both ‘Myanmar’ and ‘Burma’; at a speech to foreign ambassadors in April 2016, Aung San Suu Kyi said that she would use both names after many years of only using ‘Burma’. The governments of countries such as the US and UK continue to use ‘Burma’, but ‘Myanmar’ is used in the vast majority of international media; it is used by the UN; and in general when travelling in the country you find that locals use ‘Myanmar’ when talking freely to foreigners. For these reasons, ‘Myanmar’ is used on this website. The large number of ethnic groups, or nationalities, that make up Myanmar’s population, together with the continual changing of capital cities, reflect a turbulent past. From the 11th through to the late 19th century, Myanmar was ruled by a succession of competing dynasties, the most successful and expansionist of which controlled not only Myanmar but much of what is now Thailand and Laos, as well as parts of India and China. The hills and mountains that surround the huge Irrawaddy valley form Myanmar’s natural borders and helped to protect it from foreign invasion for many centuries. However, they were not enough to halt the advance of the British Empire, which occupied Myanmar in two stages during the 19th century. The Second World War saw Myanmar set as a battleground between Japanese and Allied forces, and large parts of the country were devastated. However, after a long struggle, Myanmar gained independence in 1948 – due in no small part to the determination of General (or Bogyoke, in Burmese) Aung San, who was murdered by political rivals only months before his dream was realised. Current democracy hero Aung San Suu Kyi is Aung San’s daughter, and was only two years old when he died. After a series of democratic elections through the 1950s, the military seized power in 1962 and is only beginning to cede that power today. Part of the reason for the military justifying its iron grip for so long are the ethnic insurgencies that have continued to plague Myanmar since the end of the Second World War. Various nationalities in the border areas fought with the British during the war against the majority Bamar (who initially fought with the Japanese) and this, together with the nationalities’ marginalisation from central power, has resulted in the longest-running civil war in the world. To this day, violence continues in some areas and access to border regions is restricted – to find out more about travel in these areas, go to getting around Myanmar and arriving and departing over land. In 1988, there was a mass uprising against military rule, led by students and monks, during which Aung San Suu Kyi and the National League for Democracy (NLD) rose to prominence. The protests were violently suppressed, but nevertheless led to elections in 1990, which the NLD won – however, the generals refused to recognise the result and held on to power. Today, however, matters are improving. After flawed elections in 2010, the nominally civilian but military-backed government embarked on a series of dramatic reforms; these at first allowed democratic bi-elections that saw the NLD win many parliamentary seats and then, in November 2015, a general election that the NLD won with a landslide. Together with these changes have come the introduction of trade unions; the releasing of many political prisoners; greater media freedom; and the resumption of dialogue with ethnic groups. Although the country continues to suffer from poverty and conflict, the suspension of international sanctions imposed on Myanmar and the freedom with which the general election was allowed to pass augur well for a brighter future - which the population so richly deserves. Myanmar has a deep culture of hospitality and openness – most people who visit are struck by the warm and welcoming nature of the locals, who are often keen to ask questions and make friends. And the people love to enjoy themselves – whether it is taking part in one of the hundreds of festivals that happen around the country throughout the year or enjoying a game of football, everyone loves a boisterous public gathering to lift their spirits. 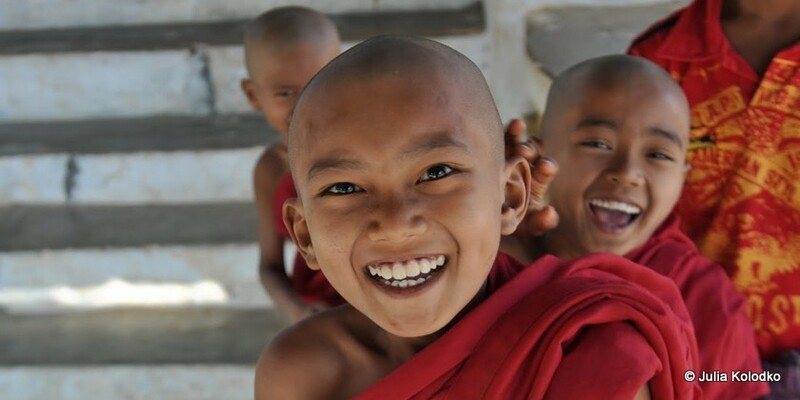 Theravada Buddhism is the most widespread religion in Myanmar and plays a big role in public and private life. Most young people spend time in monastic education and monks and nuns, of whom there are hundreds of thousands, hold a revered place in society. Pagodas (religious monuments) can also be found on many roads, river banks, towns and villages throughout the country; they are central to the life of towns, with shopping arcades and other businesses sometimes built in their entrance areas. Outside of the main ethnic Burmese population areas, particularly in parts of Kachin, Karen and Chin states, Christianity is devoutly observed. American missionaries played a large part in converting previously animist locals during the late 19th and early 20th centuries, and elements of animism remain part of these cultures. Islam and Hinduism are also practiced in Myanmar, particularly by ethnic Indians, and temples can be found around the country – most notably in Yangon. Tensions between members of these religions and the Buddhist mainstream have sometimes surfaced, most notably with incidents of Buddhist-Muslim violence in recent years; most have occured in remote areas and foreigners have not been affected. Superstition is evident in Myanmar culture, although it is often played down. Some people consult astrologers about personal and business decisions, and it is said that the location of the new capital, Nay Pyi Taw, was decided on the advice of astrologers. In the 1980s, military dictator Ne Win introduced 35 and 75 kyat banknotes because of his belief in the special power of numbers. Traditional clothing in Myanmar varies around the country, but a national staple is the longyi (sarong), which is worn by both men and women. The longyi was in fact introduced relatively recently, in colonial times, but its popularity is rooted in its simplicity and suitability to such a hot climate. Also popular and connected to the climate is thanakha, which is a facial paste made from ground bark. It is worn mostly by women and children, protects from the sun, is said to be good for the skin, and is often applied in attractive designs. For more information, go to responsible travel in Myanmar, cultural differences and adapting to life in Myanmar and things to do. As a result of decades of isolation and misrule, Myanmar is a poor country – according to the World Bank, the average person earns only US$1,203 a year. Myanmar is in general free of the slums that blight places such as Africa and India, and crime levels (particularly towards foreigners) are very low, but lack of development can be seen in everything from the dearth of ATMs and mobile phones to the creaking transport infrastructure, particularly in rural areas. Only 25% of the population has direct access to the national electricity grid (and supplies that do exist are very unreliable) and only a small percentage has access to a fixed telephone line or internet connection. Furthermore, high-level corruption and entrenched interests are widespread; Myanmar suffers from the scourge of HIV/AIDS, with some of the highest prevalence rates in Asia; child labour, particularly in the armed forces, remains common; and illegal drug production (and consumption) is rife in border areas. As sanctions were lifted and the economy gradually opened, investment, trade, and tourism became more diversified and transparent. However, recent escalations of armed conflict between the Army and ethnic forces have been widely condemned by human rights groups, western governments, and non-governmental organizations. Though posing little danger to most citizens, businesses, or travelers, the cloud of conflict looms over the country's slow democratic transition. Situated as it is between emerging giants India and China, and rich in natural resources (including gas, oil, teak and gemstones), Myanmar is attracting ever more attention. The country has come a long way in a short time, but a trip to Myanmar offers something truly unique – a chance to meet people who are both deeply spiritual and amongst the most friendly on earth; experience a host of historical and cultural delights; and see absolutely stunning scenery, from the Himalayan north to the beaches on the Bay of Bengal. To find out more about places around Myanmar, go to destinations. For day-to-day Myanmar travel news and stories, follow Go-Myanmar.com on Facebook or Twitter. An illuminating and beautifully written history of Myanmar which covers everything from the ancient kingdoms to British colonial rule and the brutal military dictatorship that followed. Essential reading if you want to truly understand how the country has arrived at the situation it is in today. Written by Aung San Suu Kyi when she was freed from house arrest for some years in the mid-90s, this book provides a unique insight into the culture and lives of the people of Myanmar, their acts of heroism, and the suffering they have had to endure. A memoir of a deeply spiritual upbringing amongst the Padaung people of rural Kayah State, and the subsequent turmoil of political activism during the student uprising of 1988, this personal odyssey gives a unique perspective on tribal life and the conflict that has affected Myanmar for so many years. A scathing and tragic look at the dying days of British colonial rule in northern Myanmar. Orwell served in the imperial police in Katha, and a fictionalised version of that town, called Kyauktada, is the setting of this book. These wonderfully insightful and droll travel books track the same journey across Europe and Asia in 1975 and 2008, and feature some delightful sections on Myanmar, including descriptions of one of the most wonderful train journeys in the world. If you’re looking for a memento or something for the coffee table, Enchanting Myanmar provides a beautiful collection of photos – all taken specifically for this book and backed up by informative descriptions. So often unfairly dismissed when compared to the more internationally established cuisine of its neighbours, food in Myanmar is a diverse delight. Part cookbook, part cultural guide and part travelogue, Delicious Myanmar delves into this area that has rarely written about until now. To plan a trip or pose an enquiry, get in touch with one of our travel advisors here.